It's no secret that at my height, I tower over most guys. But the one I tower over the worst is the one I married. He's half a foot shorter than I am. We're okay with it, but getting stared at whenever we go out and I wear heels gets really old. Which means I rarely wear them and when I do, my feet usually pay for it by hurting something fierce. Last summer when he was part of a wedding party for one of our closest friends I decided I'd get some cute heels to wear with my dress that were the color the wedding party were wearing since I figured we'd have a few pictures together. But OMG they hurt so much just walking around at home to break them in. So I bought my first pair of Dr. Scholl's for Her High Heel Inserts to make them comfortable. (Aren't my shoes so cute? You can barely tell the inserts are there!). Not only did they make them bearable, they weren't obvious in my extra pair of heels that are super strappy and open toed. Alas, our daughter got very sick the day before the wedding and I didn't get to attend it but I've since enjoyed my heels in comfort without sacrificing style. 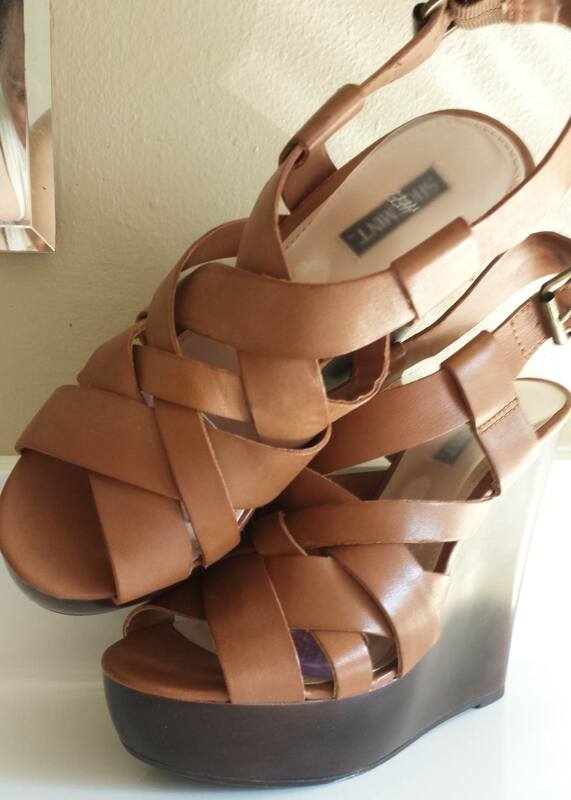 When Influenster sent out the Sunkissed Voxbox I was super happy because I had just bought a new pair of wedges for summer on sale and one wearing was enough to make me want to shove them in the closet. I wish I could say with honesty that I've spent a night out dancing in them or shopped 'til I dropped with my feet comfortable but we haven't had a lot of opportunity this summer. I can only say that I'm uncool and wore them to the movies and around the house a bit. Here's hoping I get more use of this pair next summer. I think they're a pretty classic style... what do you think? If you ever wear heels I can't recommend these inserts enough! They've become a wardrobe staple for ALL of my high heeled shoes.